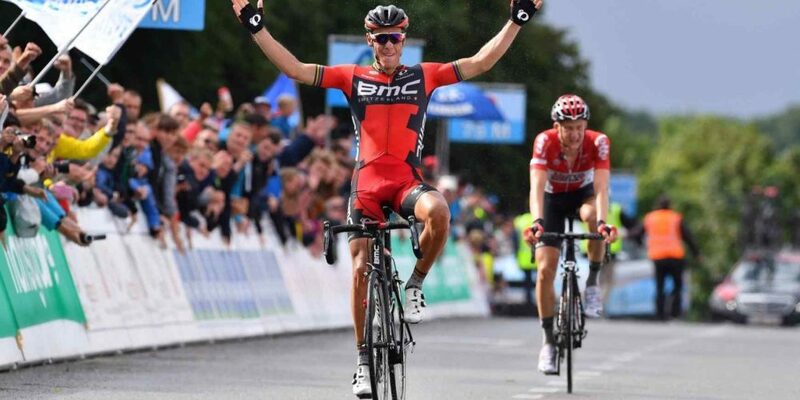 Greg Van Avermaet rounded out the podium in third place for the second consecutive year.A 25-rider move, including Gilbert, Van Avermaet, Dylan Teuns and Loïc Vliegen, went away early in the 231 kilometer race. Gilbert launched an attack with just under 50 kilometers to go and was followed by Wellens and Laurens De Plus (Etixx Quick-Step), who was later dropped, leaving Gilbert and Wellens to go head to head for the win.Gilbert launched his last attack within the final 300 meters to secure the Championship. Top 3: Philippe Gilbert (BMC Racing Team), Tim Wellens (Lotto Soudal), Greg Van Avermaet (BMC Racing Team).